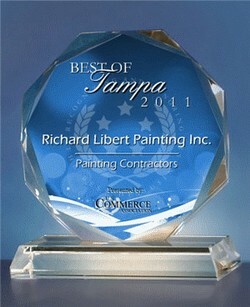 Painting | Tampa, FL | Richard Libert Painting Inc. 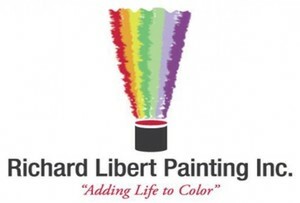 Welcome to Richard Libert Painting Inc.
Named "The Best Painter in Tampa", Richard Libert Painting Inc. has made it our mission to provide professional, affordable residential and commercial painting service to homeowners, tenants, and business owners in the Tampa, FL area since 2002. Richard Libert Painting Inc. has experience in tackling even the most challenging painting projects. You can rest assured that we will come up with a fast and sound resolution to every single one of Tampa's home and business painting needs. When your business thirsts for top-notch painting in Tampa, FL or in the surrounding area, count on Richard Libert Painting Inc. for the highest caliber of customer service! Our friendly, professional, painters are on staff year round to provide painting and staining services in the vicinity of Tampa, Florida. Richard Libert Painting Inc. has provided durable, high-performance products and services all around the Tampa area for over 17 years. We provide the best interior and exterior painters, and we can help you choose colors to make your Tampa home or office beautiful. Our Tampa painters will paint anything including ceiling painting, wall painting, deck painting, deck restoration, deck staining, trim painting, and molding painting. You name it, we paint it! We love painting Tampa! 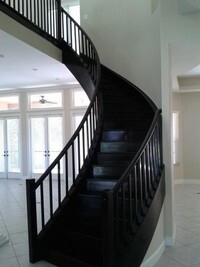 The Best Painter in Tampa, Florida! Exterior painting surfaces are cleaned and scraped to prepare. Then high-quality paint is applied when the surface is dry and there is no rain forecasted for the next 24 hours. Interior painting surfaces are washed and scraped if needed then a superior quality latex paint is brushed or rolled on to walls and ceilings, making your Tampa area home look new again. Office walls are prepared by cleaning as needed and filling in any dings or holes. Then tough, long lasting latex paint is rolled onto walls making the office a happy work environment once again and appealing to your customers! Decks take a beating from the weather elements. Ideally, decks should be painted or stained once every one to two years otherwise moss and mildew will grow in the cracks and pores where water collects. Our Tampa painters prepare decks by first replacing and damaged or rotten wood and then pressure wash the deck to remove mildew, mold, moss, and dirt. Then one or two coats of a waterproof deck paint or deck stain are applied. And suddenly the deck looks like new again! Restore and/or enhance your existing Cabinets, Countertops, Bathtubs and more! Richard Libert Painting Inc.'s Tampa area refinishing services can save you time and money and restore your home to like new again. Call us today at (813) 419-1600 to learn more about our Tampa area restoration services! All of the work completed by Richard Libert Painting Inc. is guaranteed. 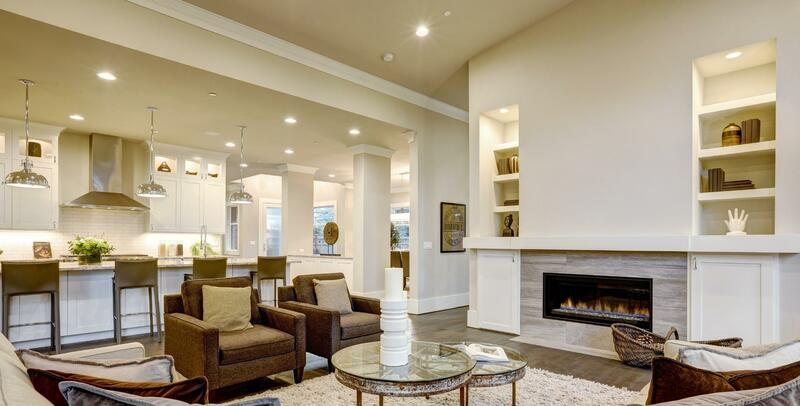 It is our goal that each and every customer be happy and proud of their newly painted home or office and wants to show others our superior work. Call anytime, days, evenings, weekends to discuss your Tampa painting needs. Affordable High-Quality Painting in Tampa.